Air crews from the 80TH Flying Training Wing practice maneuvers during pilot training in T-38 Talon aircrafts on May 14, 2014 at Sheppard Air Force Base, Texas. Pilots practice take offs, landing, touch and goes and tactical formation. 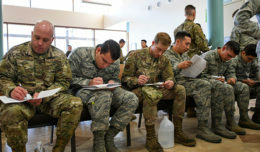 SHEPPARD AIR FORCE BASE, Texas — The shortage of pilots in the Air Force has been well documented, but the United States isn’t the only member of NATO looking for more people to fill seats. That was one of several topics discussed during the 75th meeting of the Euro-NATO joint jet pilot training program steering committee that wrapped up March 9 at Sheppard Air Force Base. 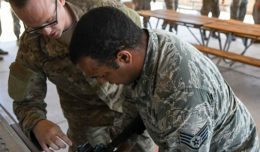 Col. Andrea Themely, 80th Flying Training Wing commander, said the program was tasked to conduct a capacity study after the 74th Steering Committee meeting in September, as well as the limitations to growing T-6A Texan II, T-38C Talon and Introduction to Fighter Fundamental tracks taught in the program. 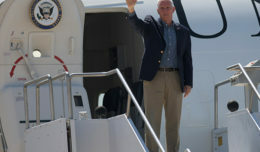 In years past, the Air Force tended to be the “shock absorber” when it came to assigning the number of seats each partner nation requested heading into the year. Themely said the U.S. no longer desires to serve as the shock absorber as it works to address the pilot shortage and the program works down a path to figure out how to meet the needs of all NATO partners in the Euro-NATO Joint Jet Pilot Training. 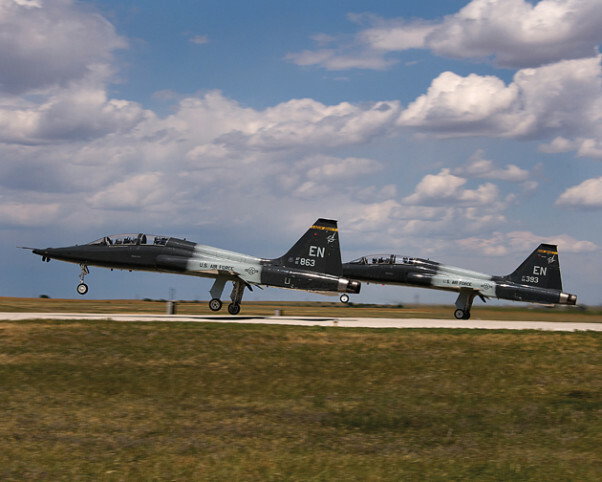 Themely said there were several changes to the training syllabus, but none more significant than the addition of air combat maneuvering sorties in Introduction to Fighter Fundamentals. The module trains pilots to work within an element of two aircraft to defeat a bandit. She said it’s a little more advanced than traditional dog fighting. “That was a big win to train our U.S. personnel the same as our international personnel because it is one program, and it should be one syllabus, and we should all meet the same standard at the back end,” she said. Themely said there were a few other syllabus changes of note, including adding more flexibility in pilot instructor training, deleting a formation simulator sortie in the T-6 track, and a few other administrative changes.